I’ve developed a new formula for converting BMI (body mass index) to body fat percentage, because the formula I found on the internet is wrong. If you just want the formula, skip to the bottom. Otherwise please read this very interesting post. 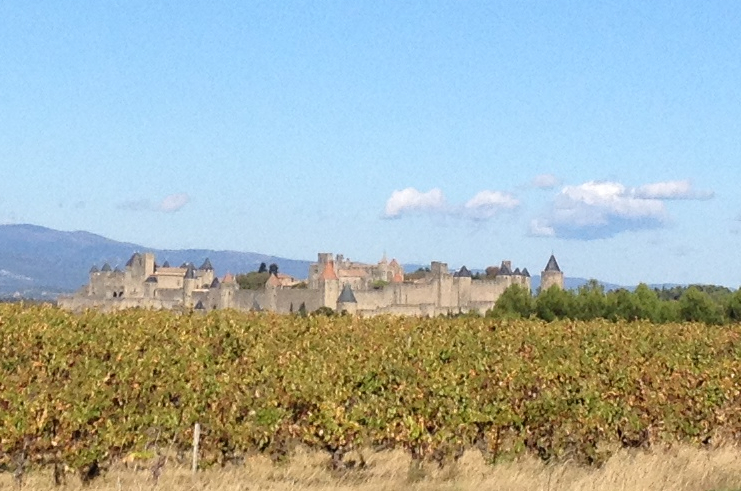 I’m in Carcassonne, in the early stages of a two-week road trip around France. I’m staying at the youth hostel here, in one of the best youth hostel locations I’ve ever seen. I’m inside the walled medieval (I can never spell that, thanks spell check!) city. If it’s not clear what I mean by that, I’m going to put in a picture I took from the road a couple miles away, across a farmer’s field. How about that? Doesn’t it just make you think of Robin Hood or the Black Death or a jousting competition? (I found out after I wrote that that they do have jousting there in the summer.) So anyway, that’s where I am typing this right now. I’ll continue this later, I’m going to tour the walls right now and then get on the road to my next stop: Provence. The US and Britain have fairly average suicide rates. The US is 12 per 100,000, Britain is 7. Britain’s is actually low for a first-world country, while France for example has a rate of 15 and Germany is 10. And of course there’s Asia, a world apart, where rich Japan and South Korea have rates of 24 and 31 respectively. Some of the lowest suicide rates in the world are in the Carribean. Which makes sense, when you live in paradise, why kill yourself? But Carribean countries share this distinction with several middle-eastern countries. The region of the world most known for suicide actually has one of the lowest rates. It seems a shame for this number of people to die purposelessly. What if we could help these people to make their end meaningful while perhaps preventing a few of them from committing this act at all? I have an idea. The Iraq and Afghanistan wars were initiated by the events of September 11, 2001. The attacks of that day killed almost 3000 people. The total cost of the wars to date is estimated at $1.38 trillion. Assuming that the wars were fought to avenge the deaths or to prevent a similar loss of life in the future, that is an expenditure of $460 million per life.